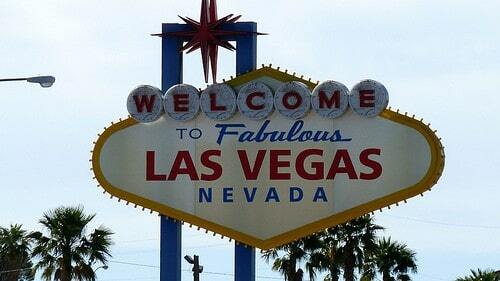 This weekend I’m heading to fabulous Las Vegas for a good friend’s bachelor party. I haven’t been to Vegas in a few years so I’m looking forward to it. I think we’ll be playing a lot of poker and just wondering around looking at the crazy place. Besides poker I’ll probably try my luck on the craps tables and my newest favorite casino game: Casino War aka High Card. It about as quick as a game can be. Flip a card. Lose. Flip a card. Lose. Flip a card. Lose. At least that’s how I envision my Casino War experience will go down. Given that I’m going without my loving wife for a bachelor party, it’s possible that I’ll need to get back on her good graces after I return. So Tex-Mex is on the menu. You guys pick the dish though! Have a great weekend everyone! Wish me luck on the tables! If you need a good bite to eat, look around your casino/resort for a place called "A Dam Good Sports Bar". I hear they have GREAT pork chops. A must go for any good bachelor party. Have a good time in vegas! First bet should always be on red 9.